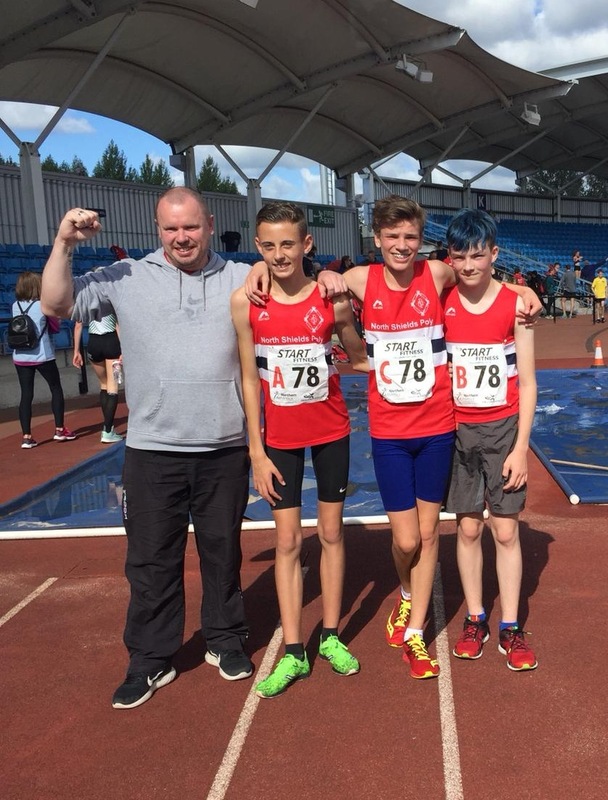 A total of 22 Poly athletes made the trip to Manchester Sportcity to contest the North of England Road Relay Championships. 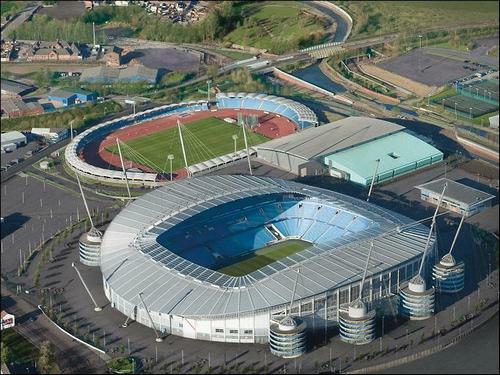 The 8 event program started and finished on the Sportcity track and took in a loop of Manchester City FC’s Etihad Stadium. With Championship titles at stake, competition was obviously fierce. 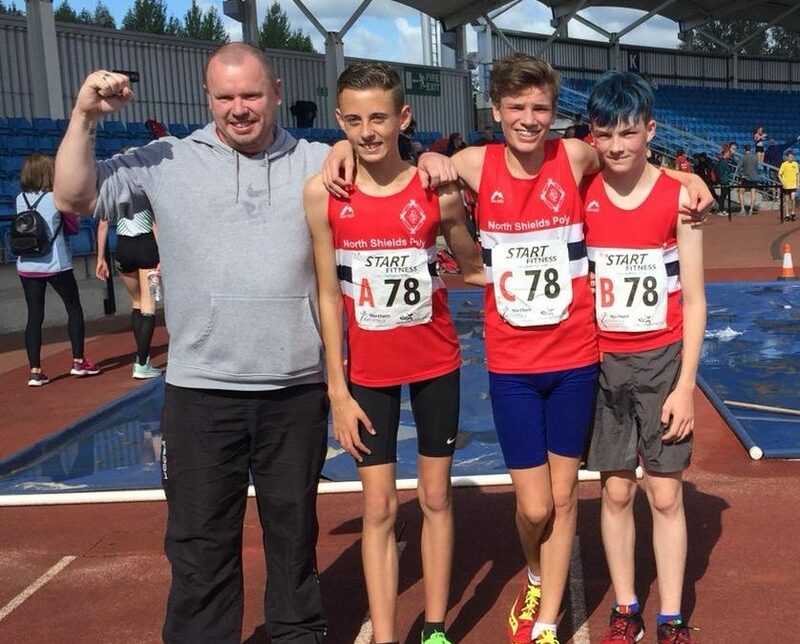 It was great to see the Poly athletes pit their wits against some of the North of England’s top runners. In the same event last year we had one sole runner in the U13 boys Championship. Not one team, one runner! This year we were able to close a full team and with all 3 athletes being just 11 years old they are all able to race next year. Benjamin Maley continues to improve (and he’s starting to grow a bit too!) and had a great run on the lead off leg, passing over to Matt Blevins. 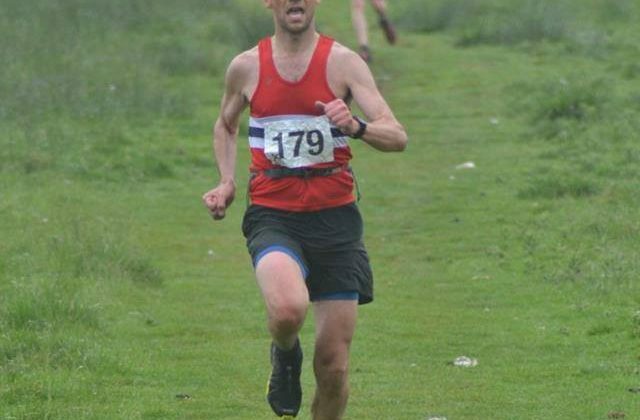 This was Matt’s first race at such a level but he didn’t let the occasion get to him with a strong leg. Olly Hayes anchored the team to a promising 36th place. A fine performance for what was no doubt the youngest team in the Championships. Let’s see what happens next year……. 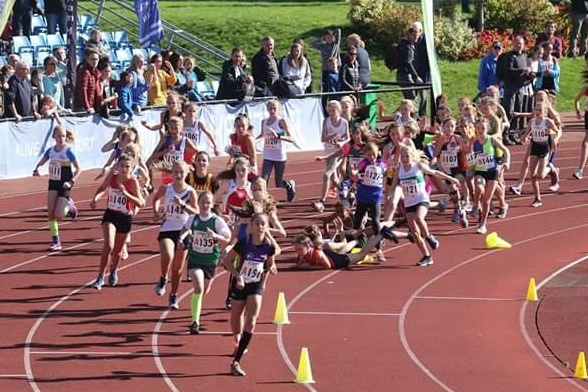 Next off was the U13 girls Championship which didn’t get off to the best start when our lead runner Katie Josyln took a tumble after a manic start. 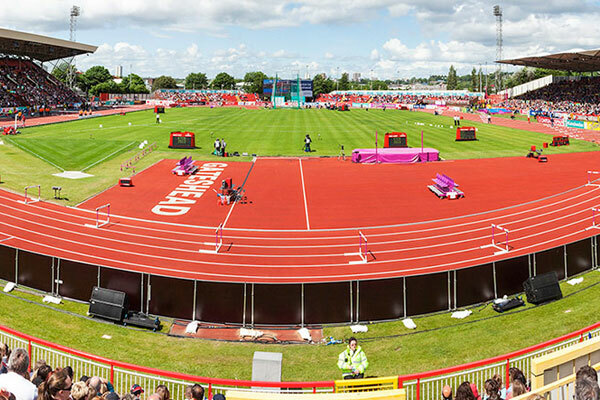 Maybe the organisers need to think about changing the start from the bend of a track to maybe the back of the home straight for safety reasons? This was not the first time one the races started with multiple fallers and surely the ‘powers that be’ must take note. However, tough as old boots, Katie got up, regained her composure and finished a creditable 22nd place. Lucy Fitzpatrick, more known for her exploits on the track, ran admirably over an unfamiliar distance. Caitlyn Davies brought the team home in a solid 25th place. The highest team placing of the day came in the U15 boys Championship. Northern Cross Country Champion Josh Blevins, suffering from a slight cold (his bag contained flu pills and Vicks VapoRub as well as his running kit! ), took the 1st leg by the scruff of the neck shortly after the start. Running against lads a year older than himself, he was not fazed and with only the lead bike for company ran a magnificent leg to bring the team home in pole position. Despite running solo for around 95% of the race, Josh finished up with the 2nd fastest time of the day. Ryan Eden has shown massive improvement over the past few months. He is still relatively inexperienced at this level but held things together well in very esteemed company to hand over in 8th place to Oliver Douglass. Expectations before the event were around a top 12 finish, top 10 on a really good day. So imagine the feelings when Oliver entered the stadium little more than half a minute behind the medal positions. 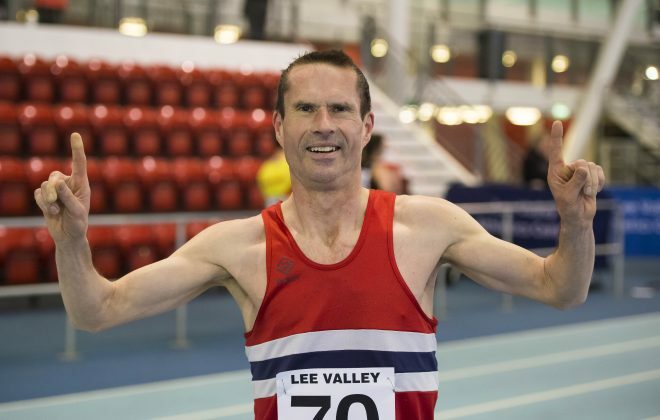 It all went down to the final 20m and even though it was clear to see that Oliver was ahead of Vale Royal athlete on the line, officials gave the decision to the Cheshire based club. Officially 6th place was well deserved for such a hard working bunch of lads. The U15 girls Championships saw two Poly teams toe the line which was a very encouraging sight. North East 800m Champion Rosie Hughes brought the team back in 14th place after the first leg. Gracie Davies, drafted into the A team after illness to Lily Robson, justified her selection with a strong run to keep the girls in the top 20 in 16th place. Birthday girl Holly Waugh was the anchor runner, running exactly the same time as Rosie, Holly pulled back 4 places for a 12th place finish. The B team, with Lily Robson suffering from cold and still running her heart out for the team, finished in 30th place on the first leg and having back up from Lucia Bradley and Kirsty Nash, finished 34th. A sterling effort by all the girls, showing that competition for places will be high all season. We then moved onto the Senior races with the ladies 4 x 5.4k Championship the penultimate race of the day. Masters International Carla Maley gave the team a good start on a very competitive 1st leg in 34th place. Second leg runner Louise Hayes, similarly to Carla, being inspired by the earlier run of her son gained 2 places on the 2nd leg. 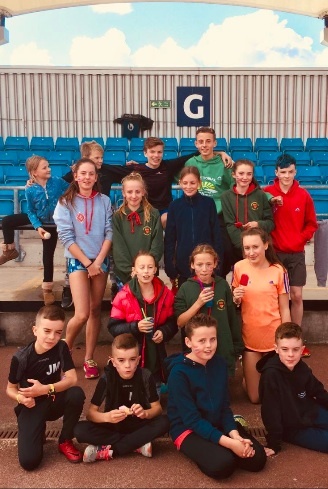 It was then over to NSP stalwart Natalie Thorburn, still recovering from the Vale of York Half Marathon, to consolidate the team’s position before Louise Coultate anchored the team to 46th position. With almost 100 teams taking part it was a very impressive team performance by the NSP ladies. 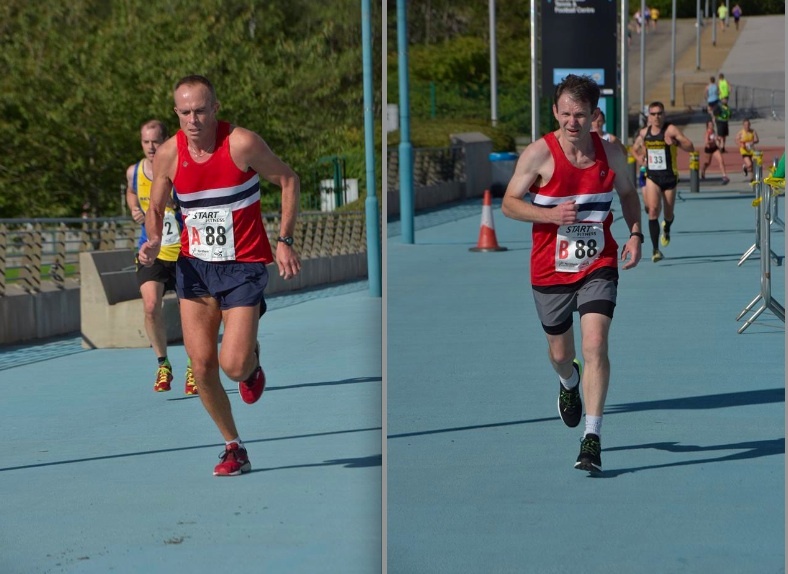 The final race of the Championships was the Senior Men’s 6 x 6.9k. Unfortunately we were unable to field a complete team which is very disappointing considering the size of the club. This was a Championship race and in my opinion, something that members should be lining up to do. Hopefully in time more of our runners will see how great these events are and make more of an effort to take part. However, this is not to take anything away from those that did run. Huge credit must go to Sean Maley (the 3rd Maley of the day to compete), Jason Nash and Norman De Bruin did themselves and their club proud, running their hearts out, despite knowing that the team was incomplete. Overall it was a very enjoyable day with a couple of cheeky celebratory drinks on the bus home and the young athletes doing their best rendition of the songs from Mamma Mia (my ears are still ringing now!). Thanks must go to Vaughan for doing all the background work with regards to entries, organising the bus etc. 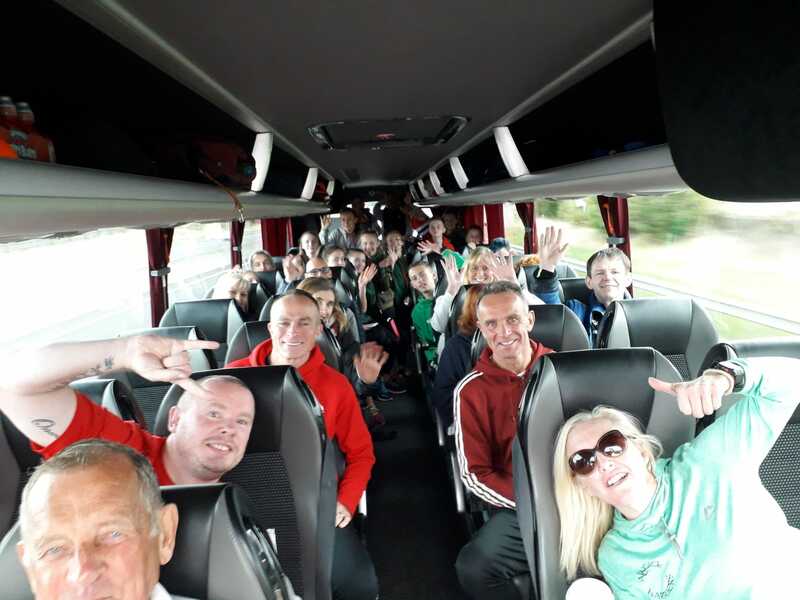 With a merry band of enthusiastic supporters we may not have the biggest team of the Championship but we certainly had the loudest!